"It is an amazing feeling." 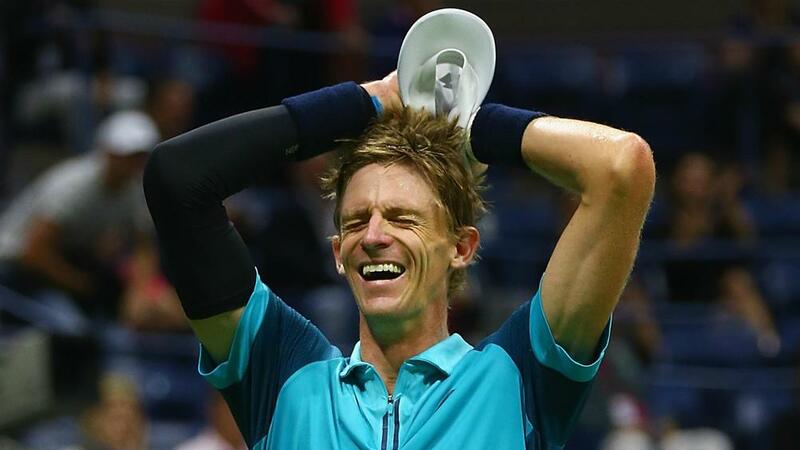 South African Kevin Anderson could not hide his joy after reaching his first grand slam final after seeing off Pablo Carreno Busta in the semi-finals of the US Open. Anderson, 31, will contest his maiden major final against top seed and 15-time slam champion Rafael Nadal following Friday's 4-6 7-5 6-3 6-4 win over 12th seed Carreno Busta at Flushing Meadows. The 28th seed recovered from a slow start to become the first South African player in a grand slam since Kevin Curren in 1984 and the first in New York since Cliff Drysdale in 1965. Speaking to reporters afterwards, Anderson – who never progressed beyond the fourth round of a major before this year's US Open – said: "It's definitely an amazing feeling being in this position and have worked very hard to get here. It feels great to be in the stage I'm in. "More importantly, I have given myself a shot at being in the finals and I will be playing for a grand slam trophy. That's an amazing feeling. "I have to get ready. Still obviously a very difficult match ahead of me, but I think right now I'm just trying to unwind a little bit and just enjoy sort of today's match." "It's obviously new for me," Anderson – the lowest-ranked finalist at the US Open since the inception of the rankings in 1973 – added. "But I think what I have been doing very well is sort of trying to put all those outside factors at bay. I have been really focused on trying to take care of my business, my side of the court. I feel like it's been working well for me, so I'm not going to do anything much different. Same sort of things, recovering tomorrow. "It was quite physical, tonight's match. I have to be 100 per cent for my next match, but my body is healthy. Just a little fatigued. "Obviously recovery, and then, I'm going to treat it like each match I have throughout these two weeks. At least that's what I'm going to try to do." A three-time ATP Tour winner, it has been a long road to the US Open final – Anderson's career disrupted by injuries in recent years. Anderson dropped to 80th in the world after a hip problem forced him to miss the Australian Open in January. "Last year was quite tricky for me. A lot of stopping and starting," he said. "It was very frustrating, because there were a couple that definitely forced me away from the tour but there were a few that were constantly nagging injuries and constantly not allowing me to play the tennis I needed to be playing. One thing sort of led to another. I had a bit of that. "Towards the end of the year, my hip really played up, and that was probably the most severe injury. Seemed like surgery was maybe even on the table. Fortunate to have escaped that whole thing. It was tough not being able to go down to Australia beginning of the year. "And then even starting this year I felt I was in very good shape. I had worked very hard. I was hitting the ball great but just wasn't really finding that form out on the match court. "I feel like in the last while, definitely things have turned around. I think it started on the clay court, getting more matches under my belt. I just feel like I have been constantly taking steps in the right direction."